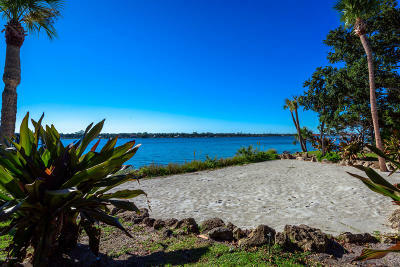 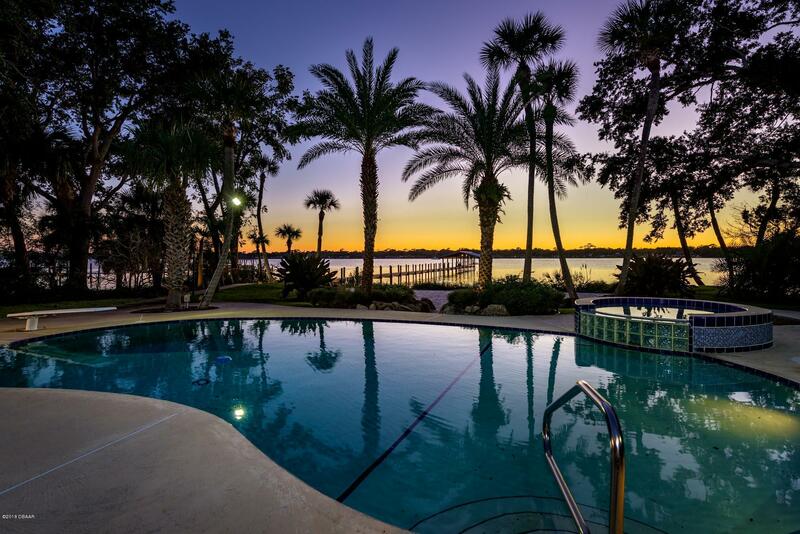 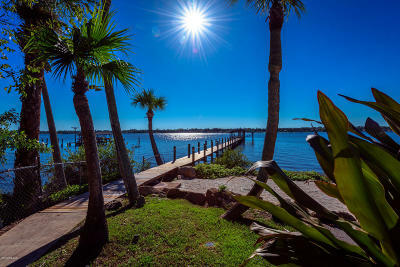 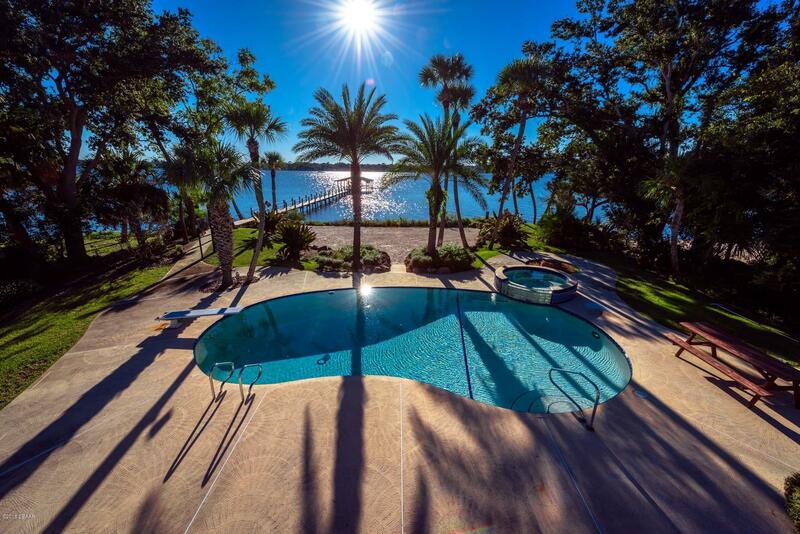 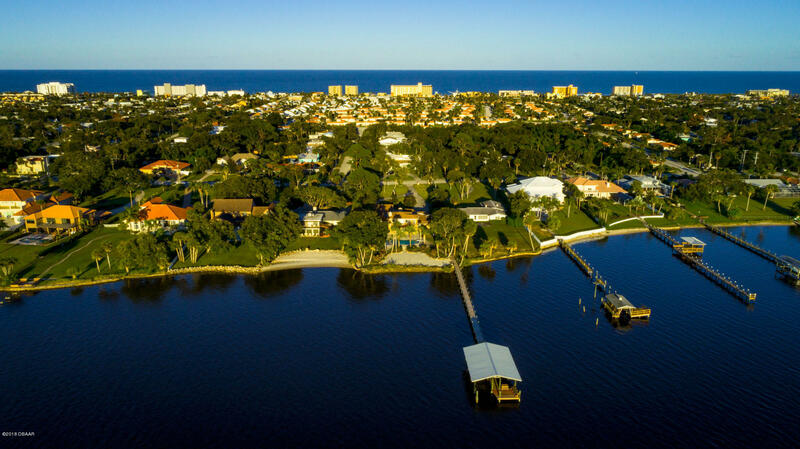 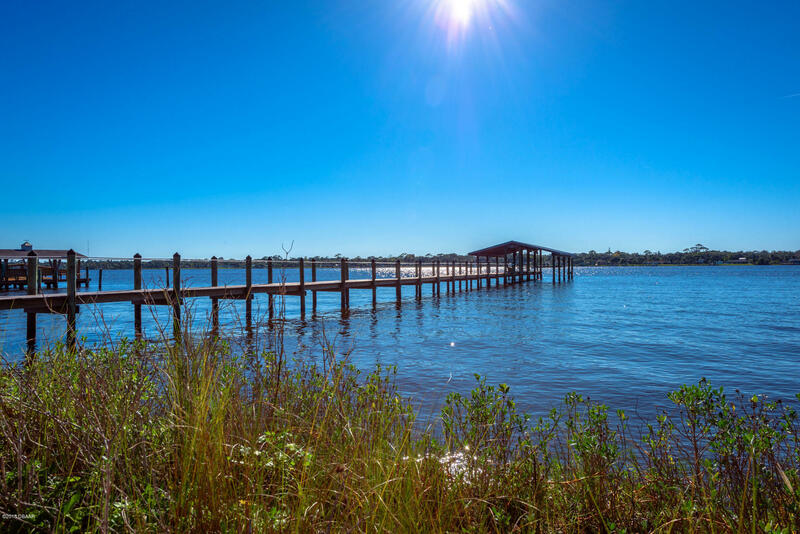 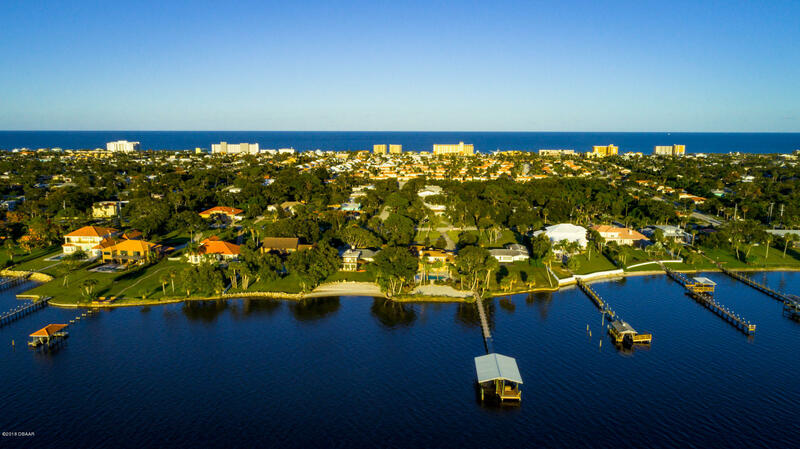 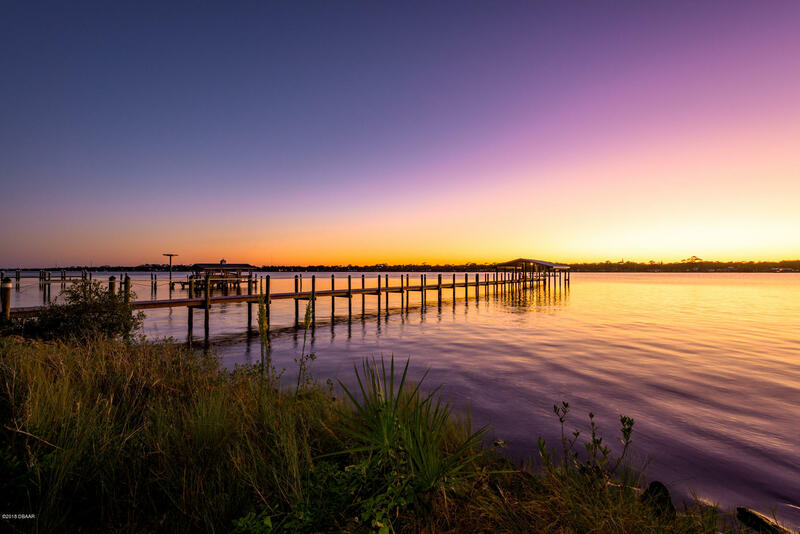 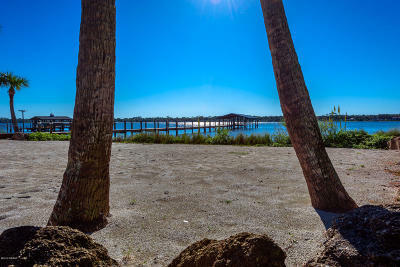 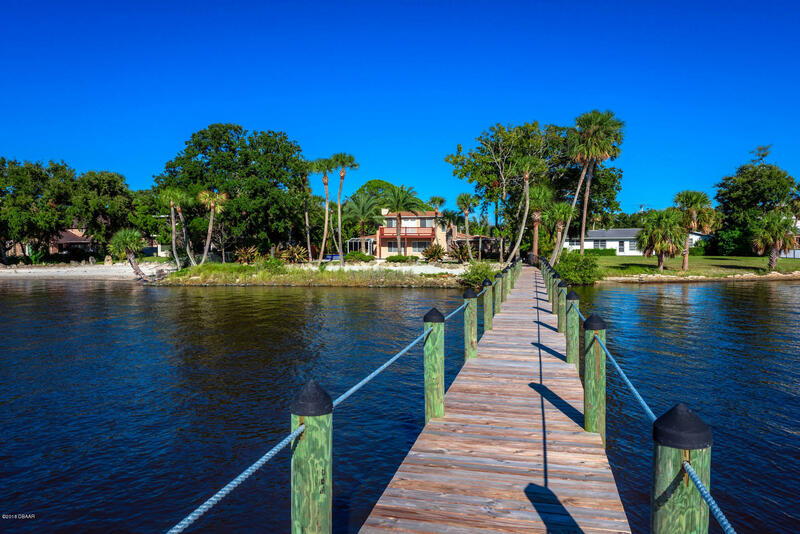 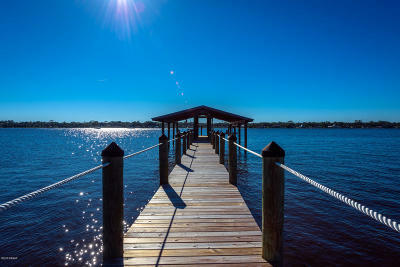 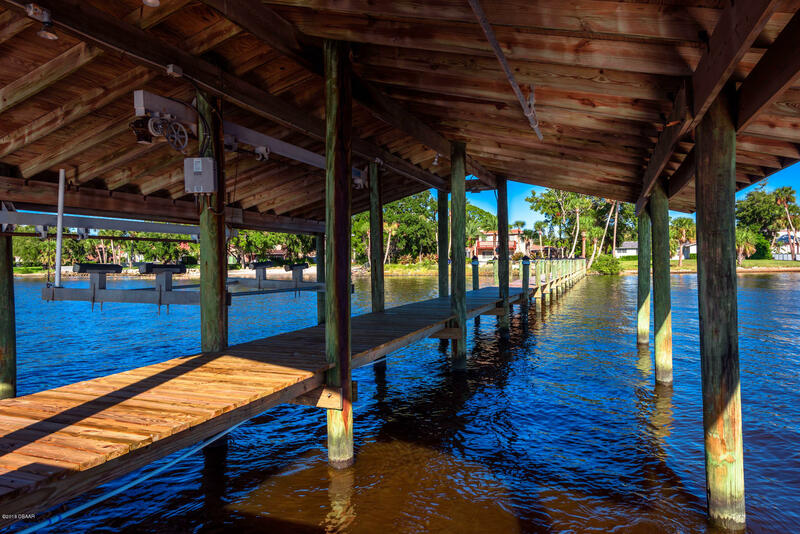 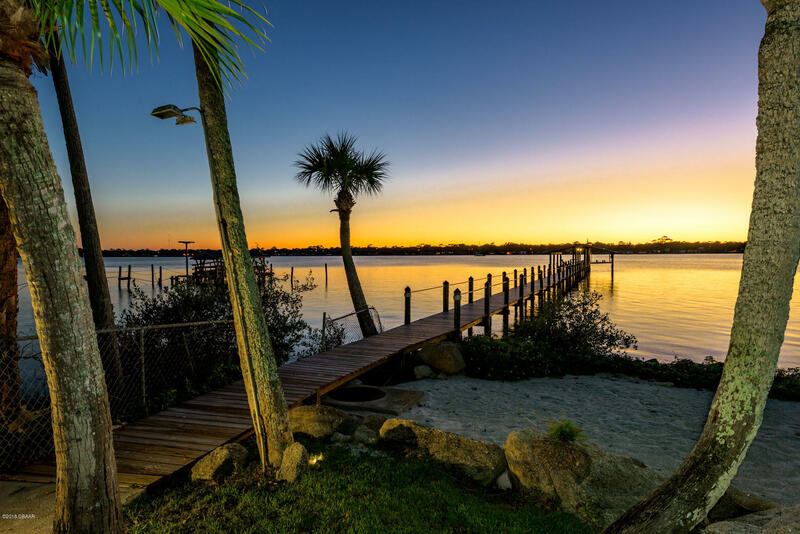 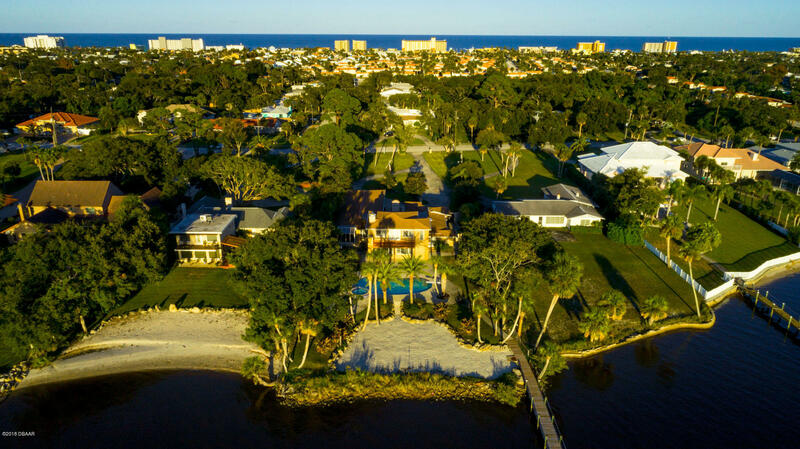 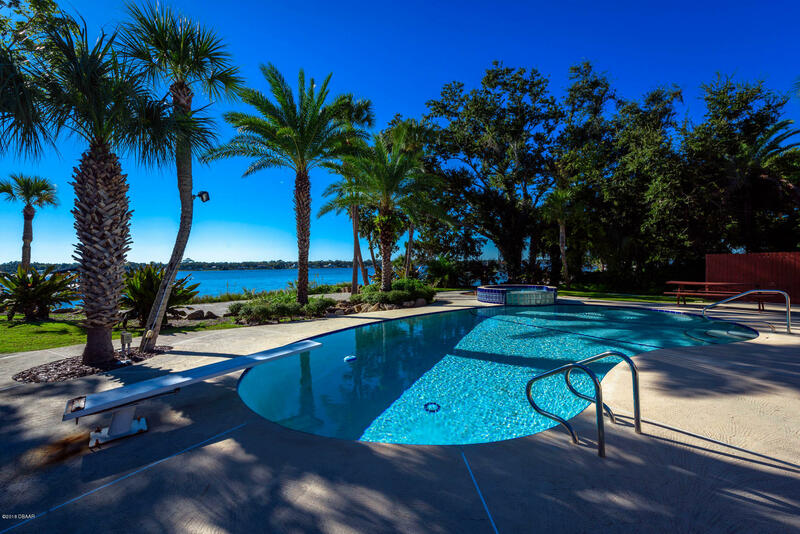 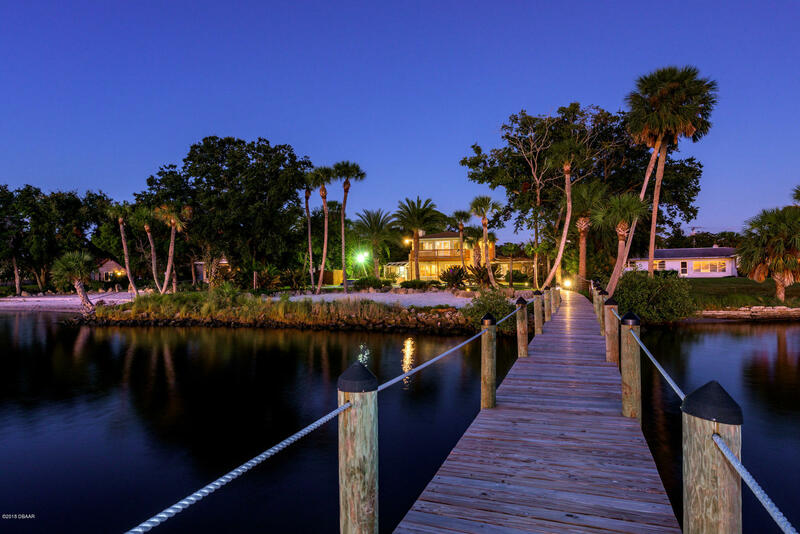 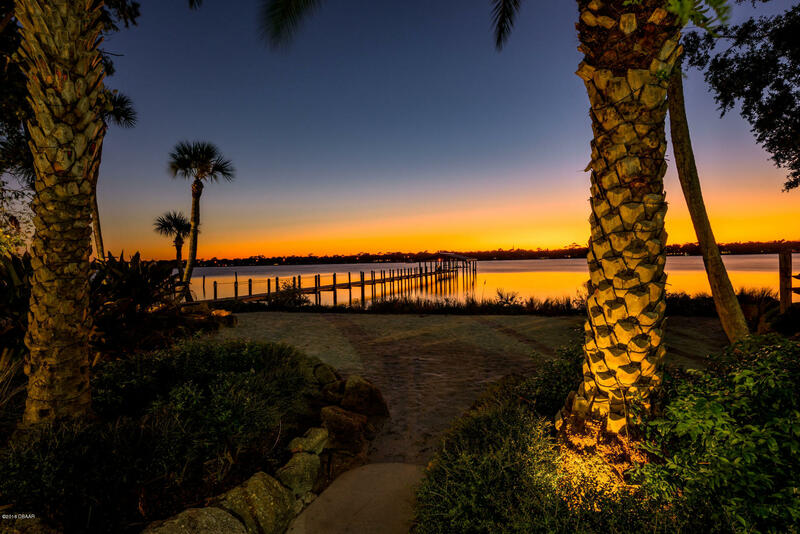 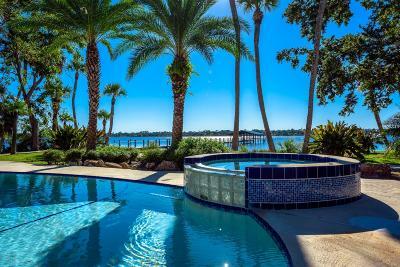 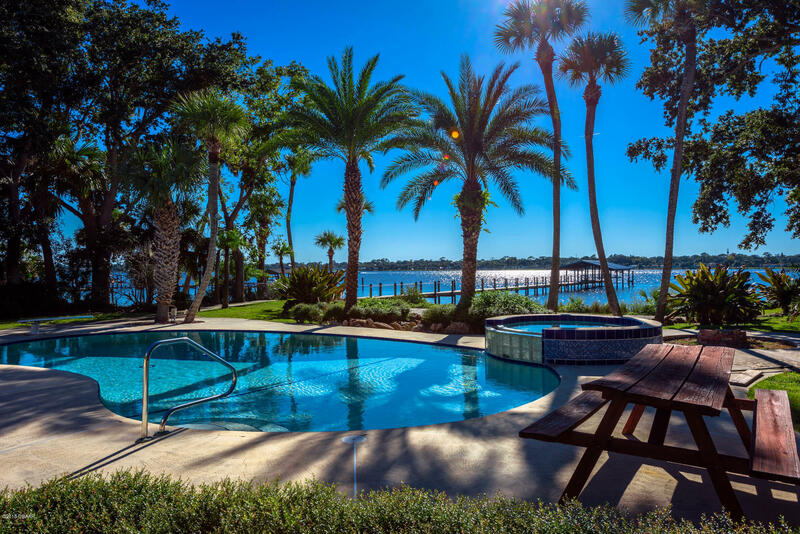 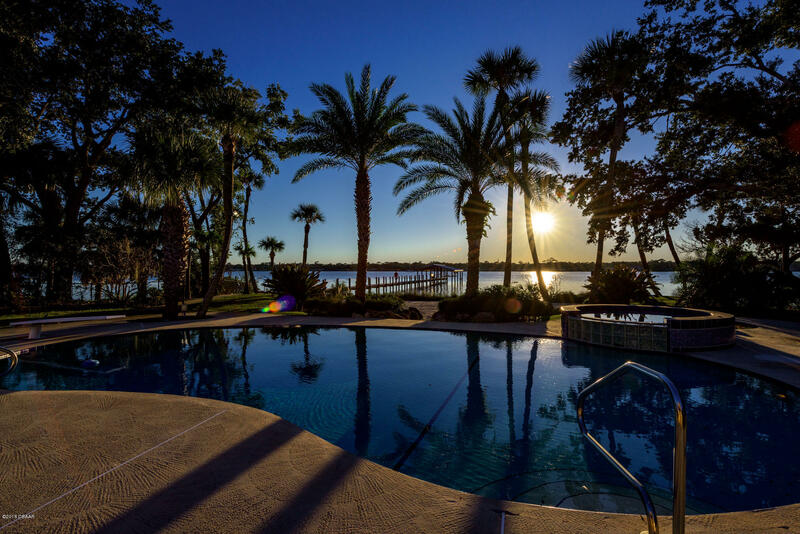 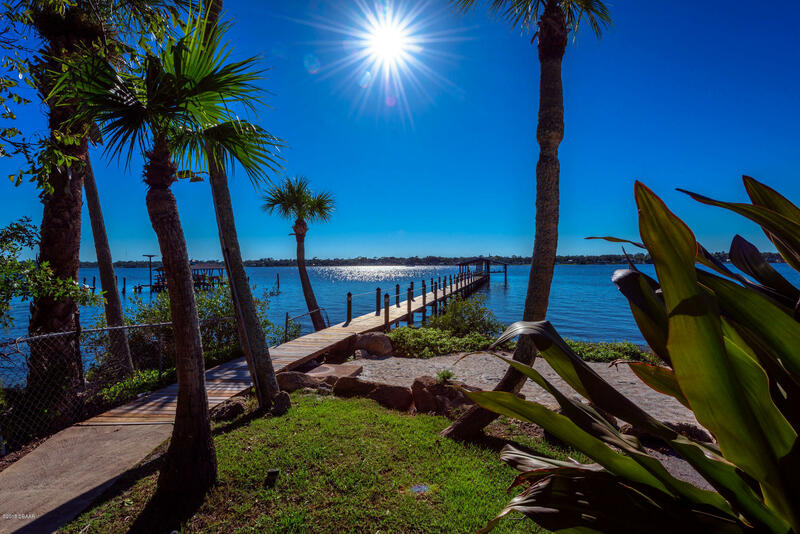 A rare opportunity for a DIRECT RIVERFRONT ESTATE HOME/LOT on the peninsula in Ormond Beach. 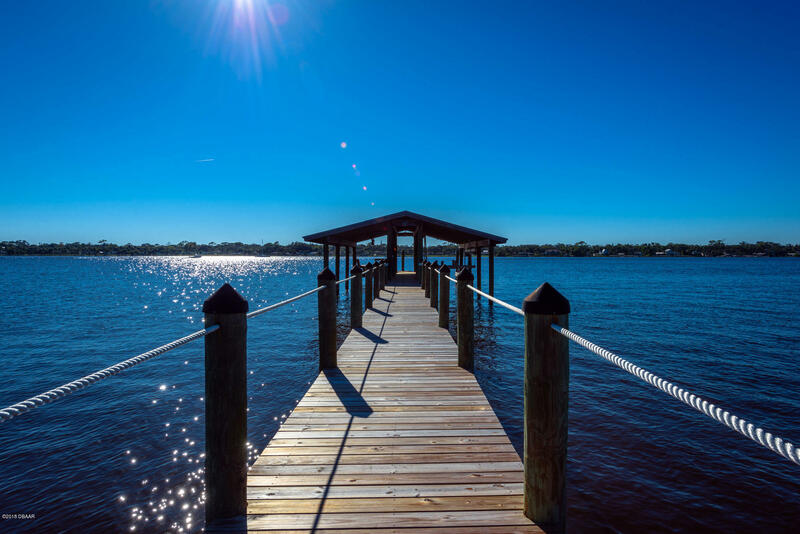 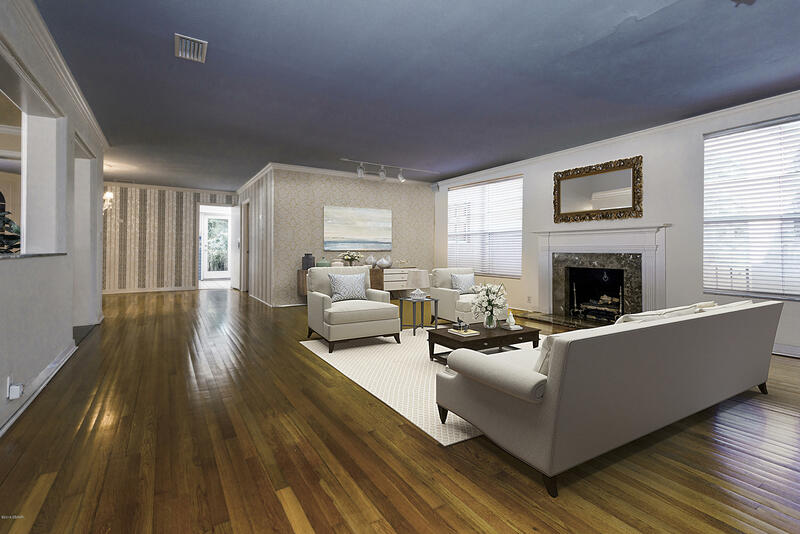 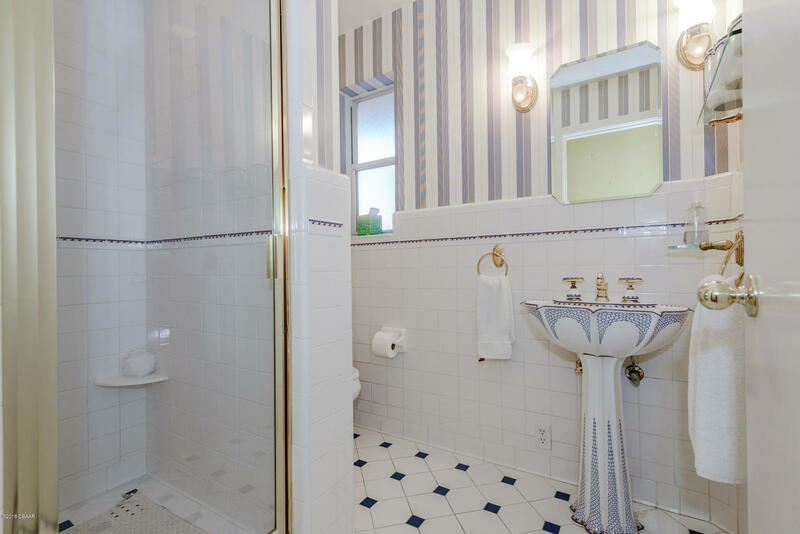 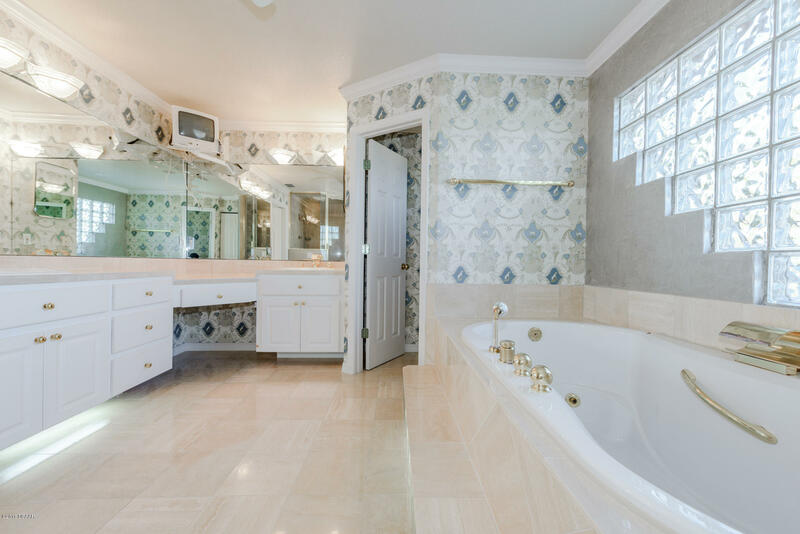 With @ 101' OF SHORELINE and @ 346' DEPTH, this home is offered for the first time in decades and presents an opportunity for adding your own updates or a great parcel to build your dream home. 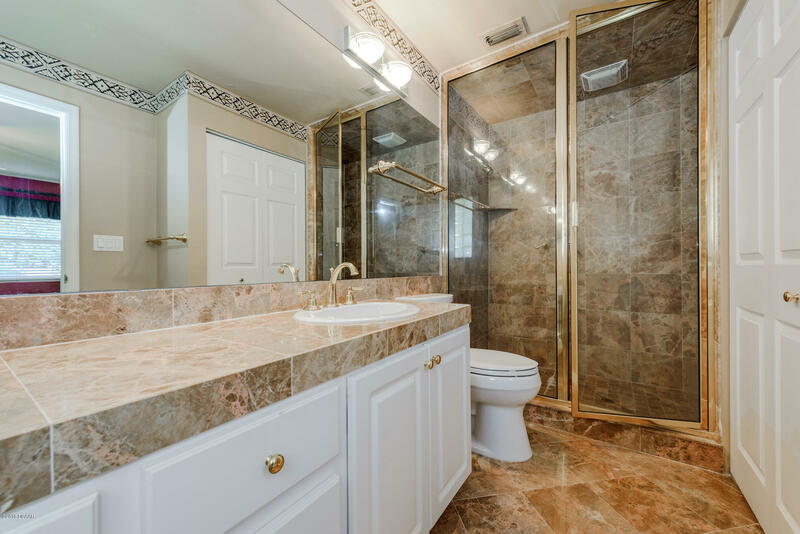 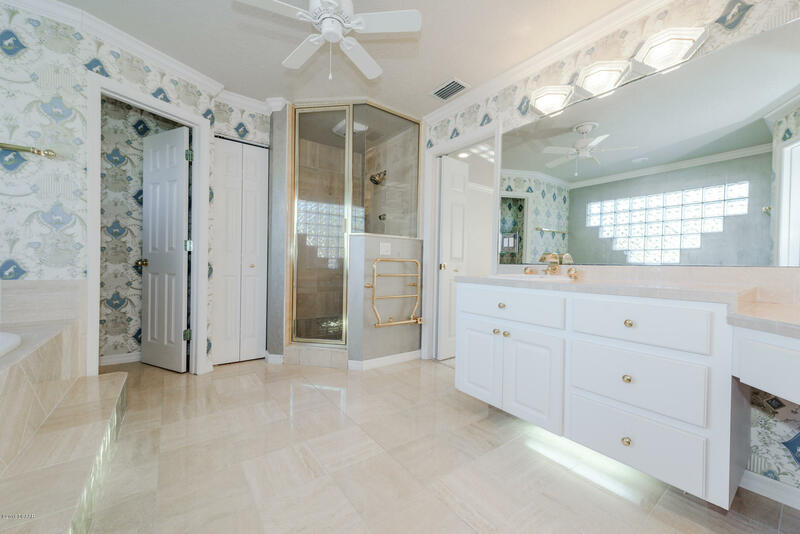 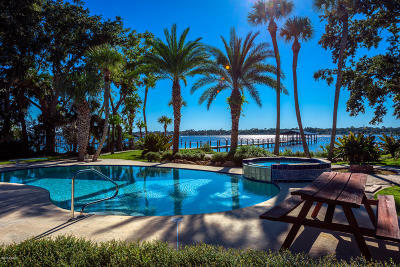 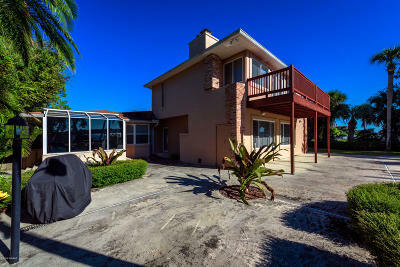 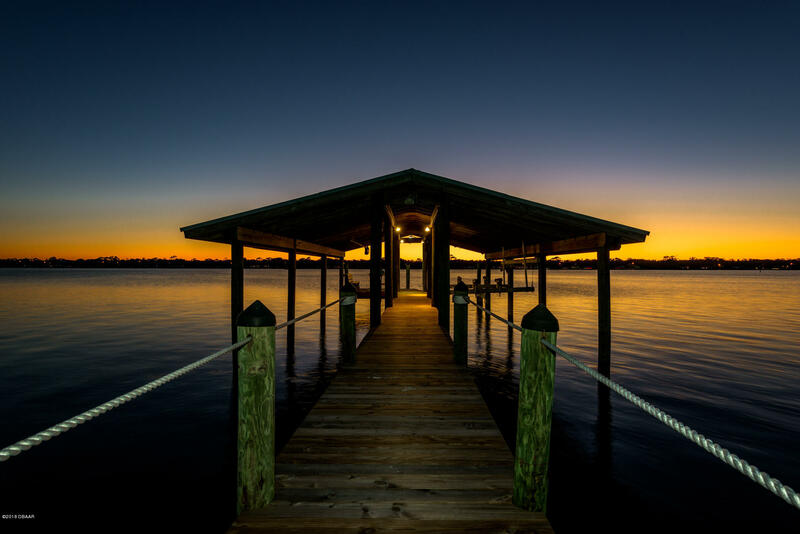 The 4 bed / 4 bath home offers true privacy with its setback from Riverside Drive and stunning views of the Halifax River. 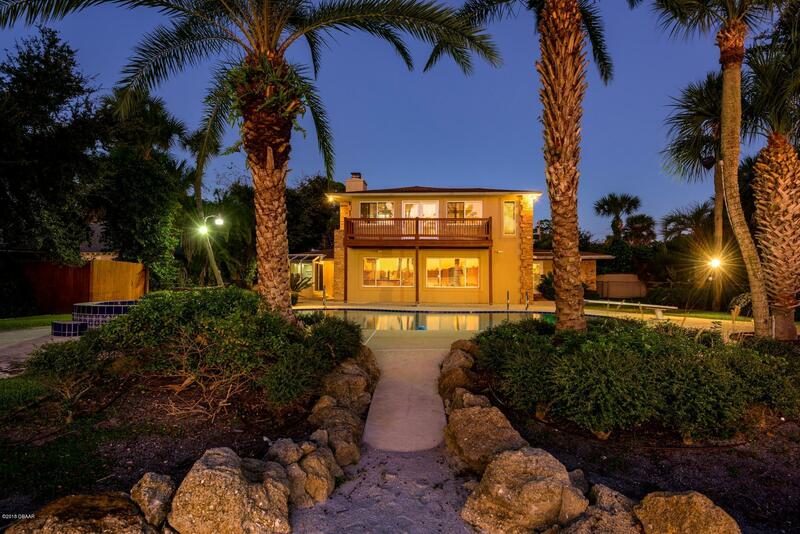 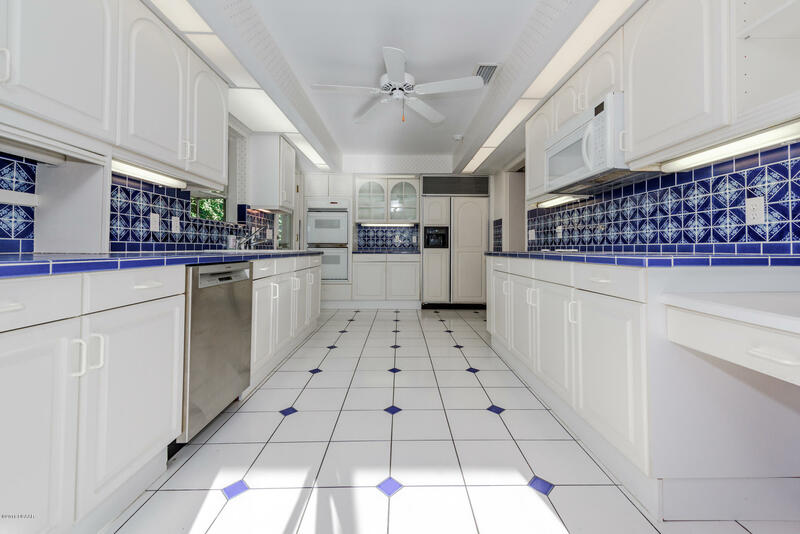 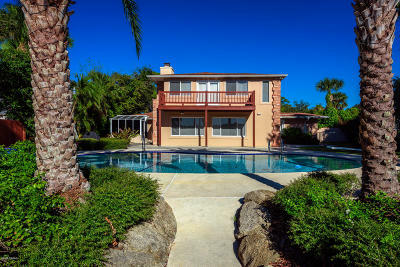 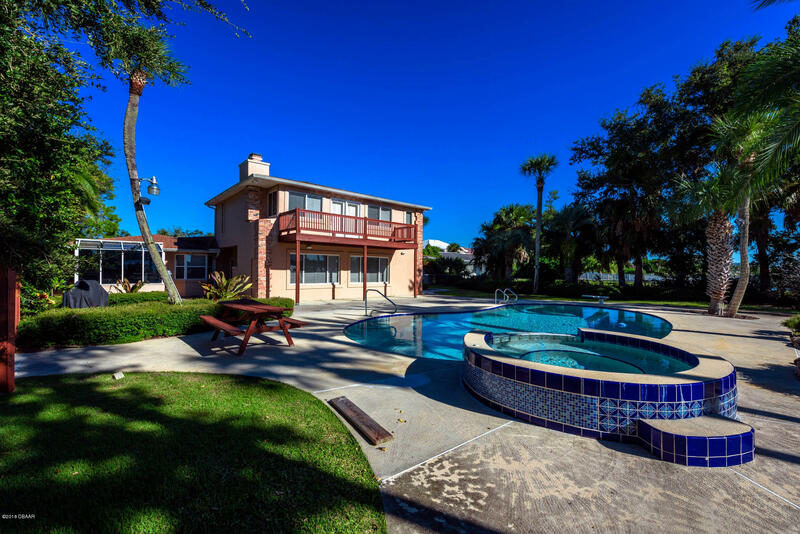 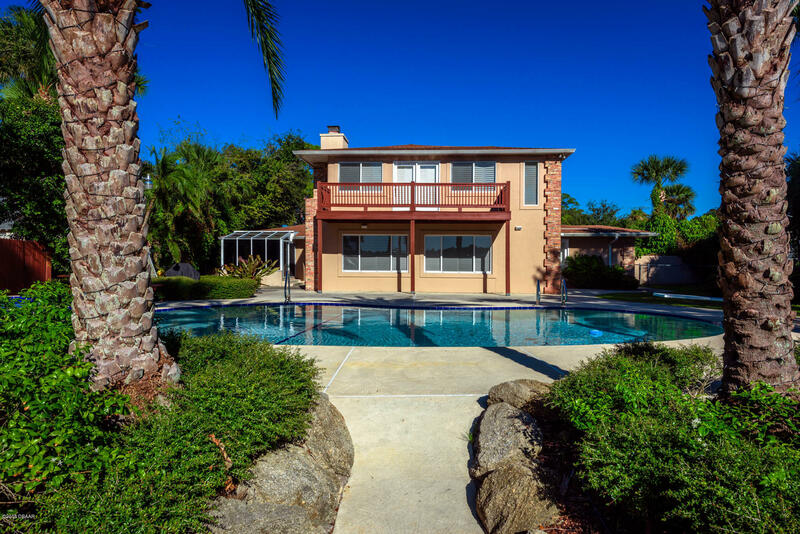 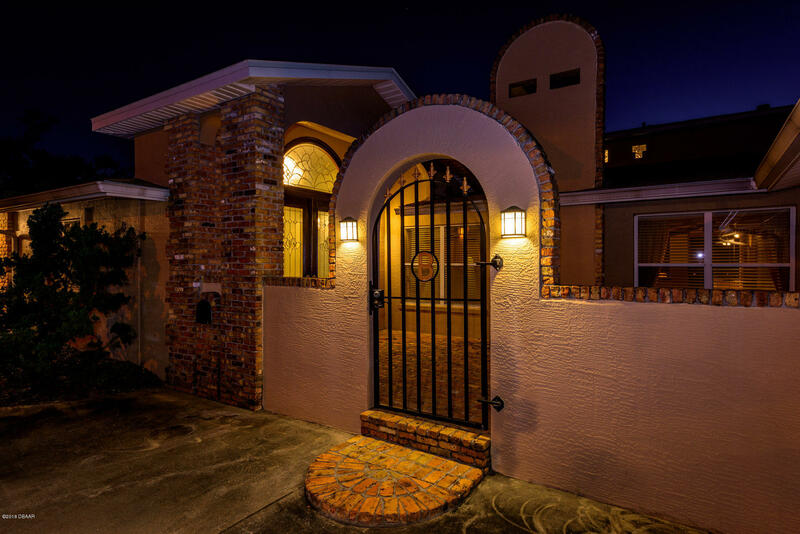 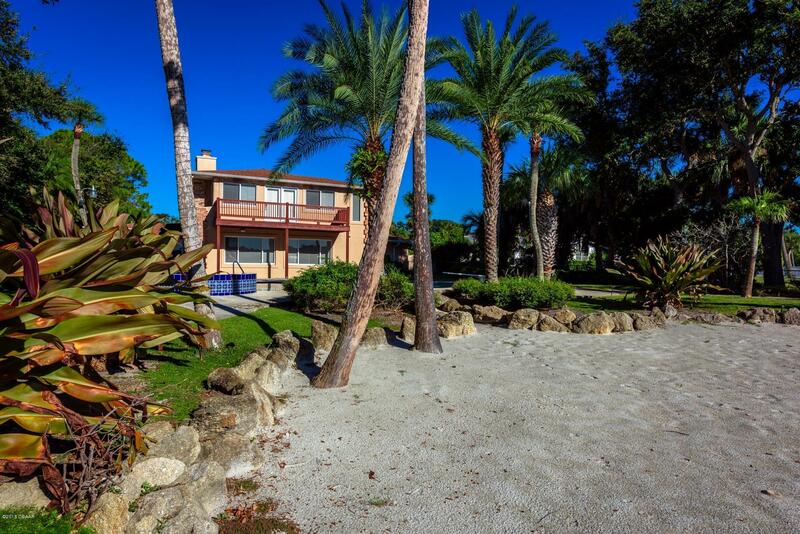 Enjoy the amazing sunsets from your tropical oasis rear yard featuring an in-ground pool/spa, large patio area and 35' of beach leading up to the water. 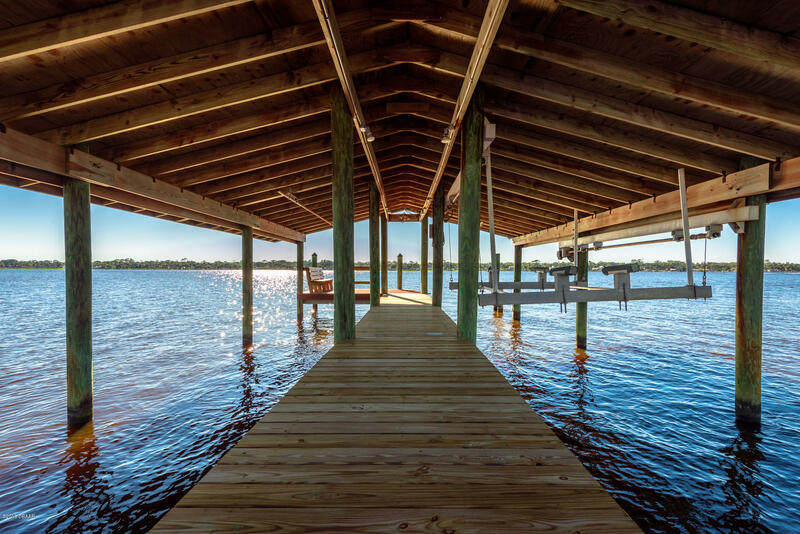 Drop your boat in the water from the end of your newly constructed 300' + dock. 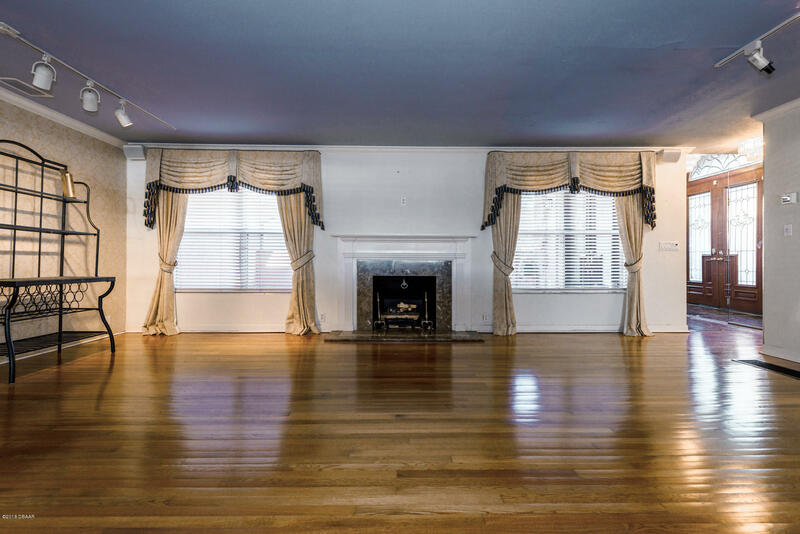 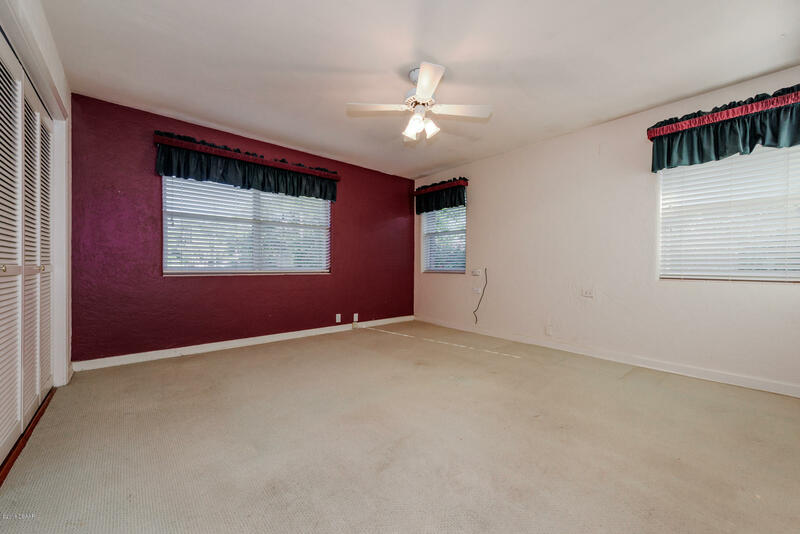 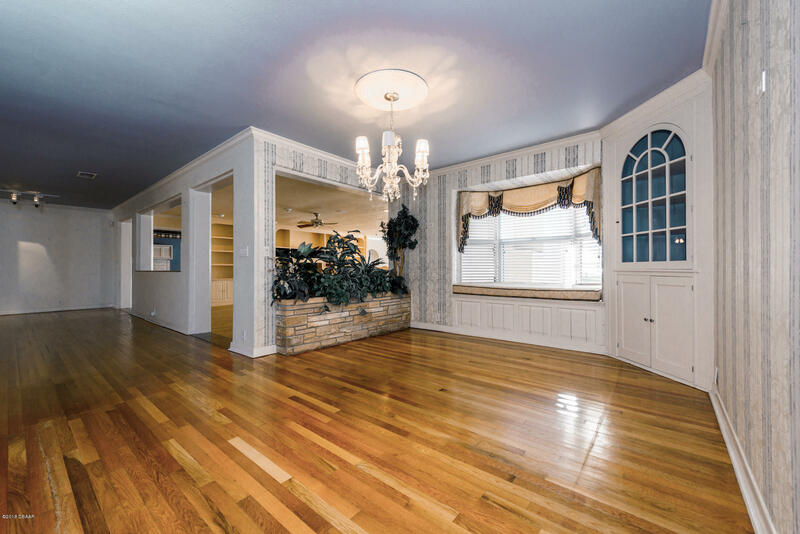 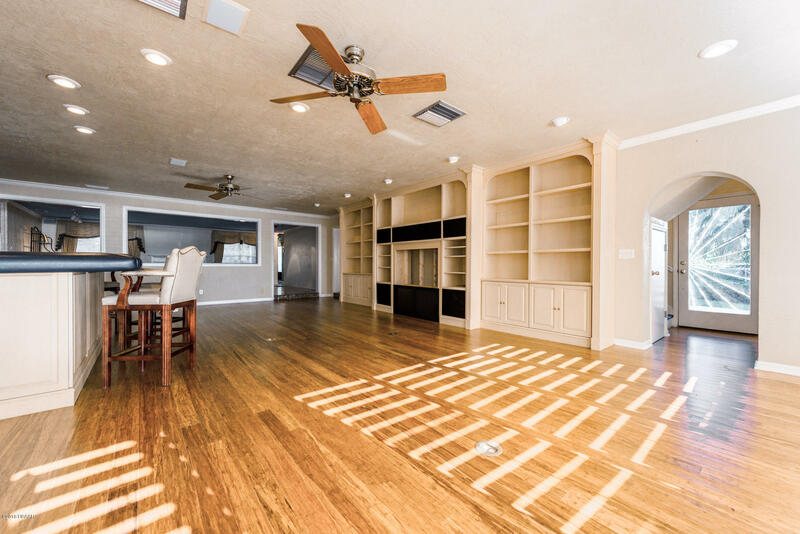 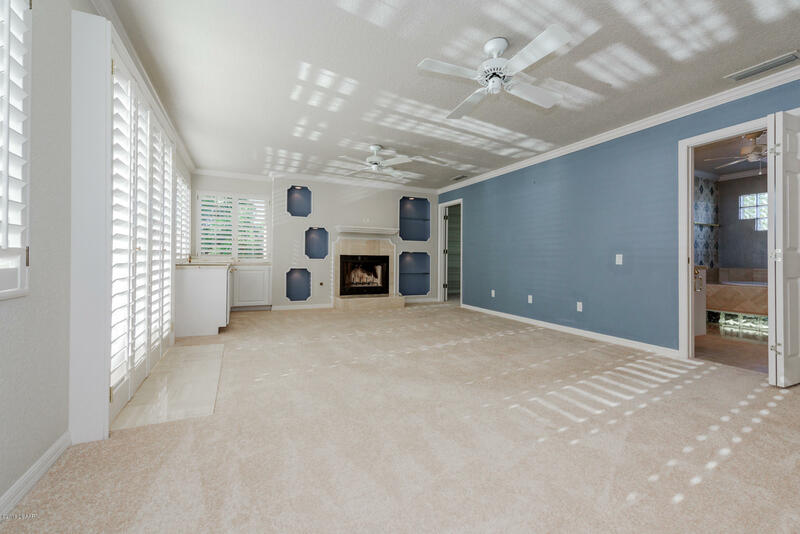 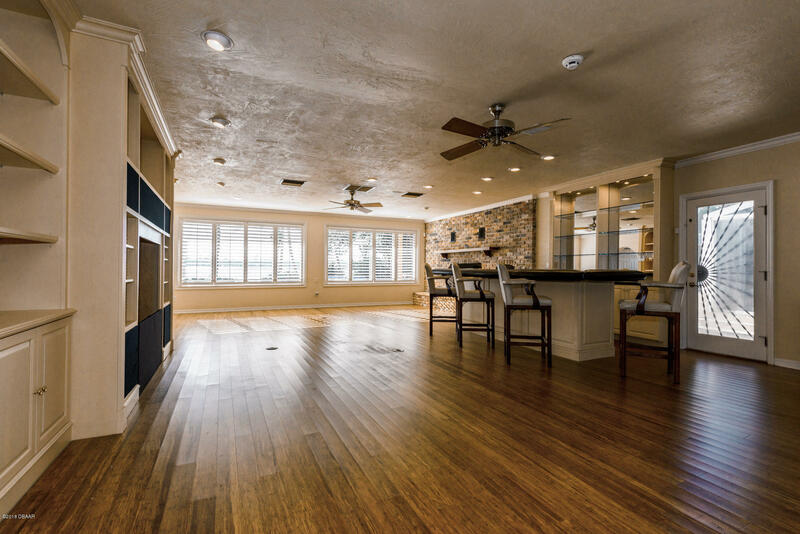 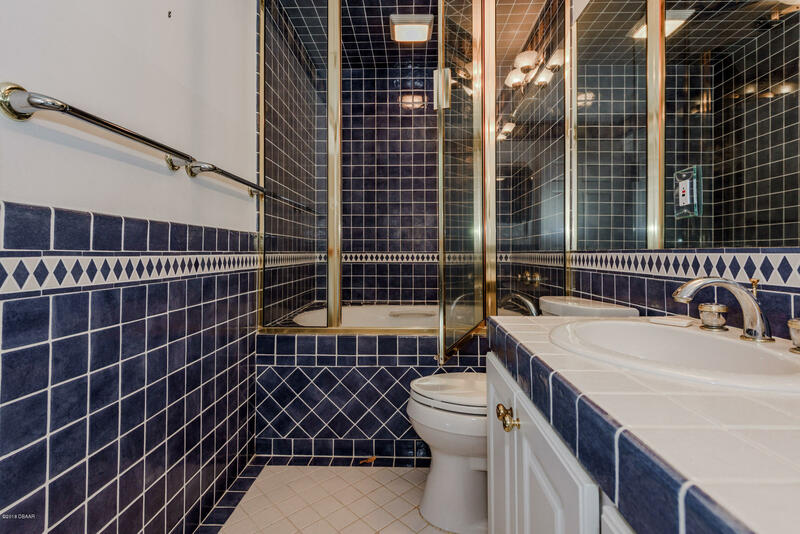 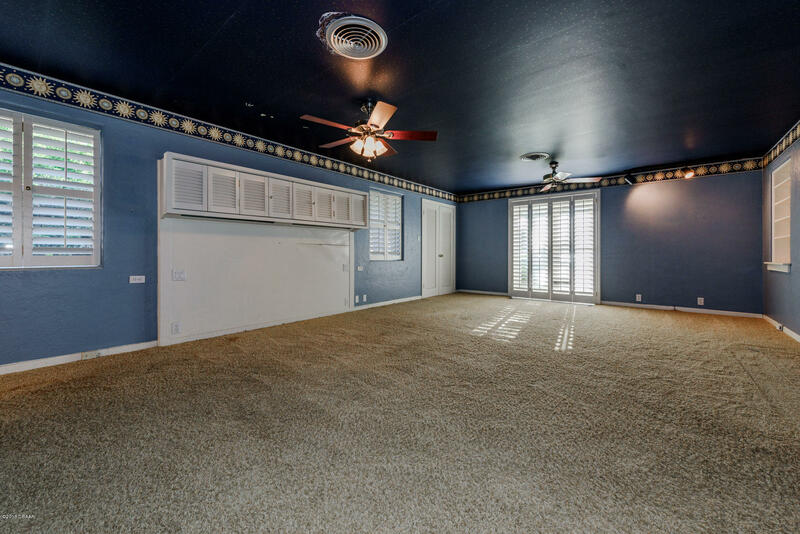 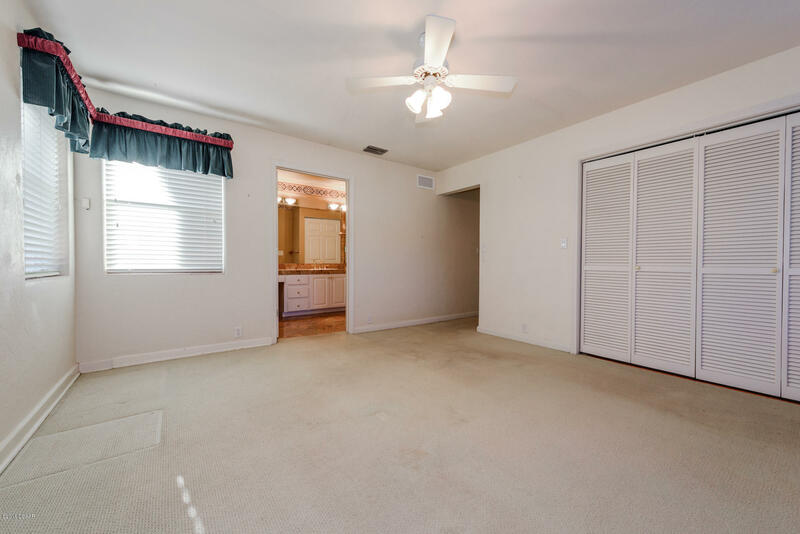 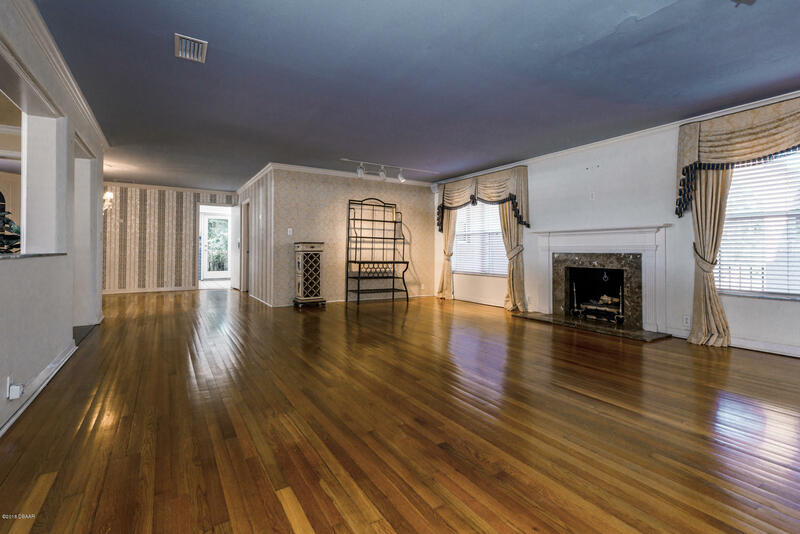 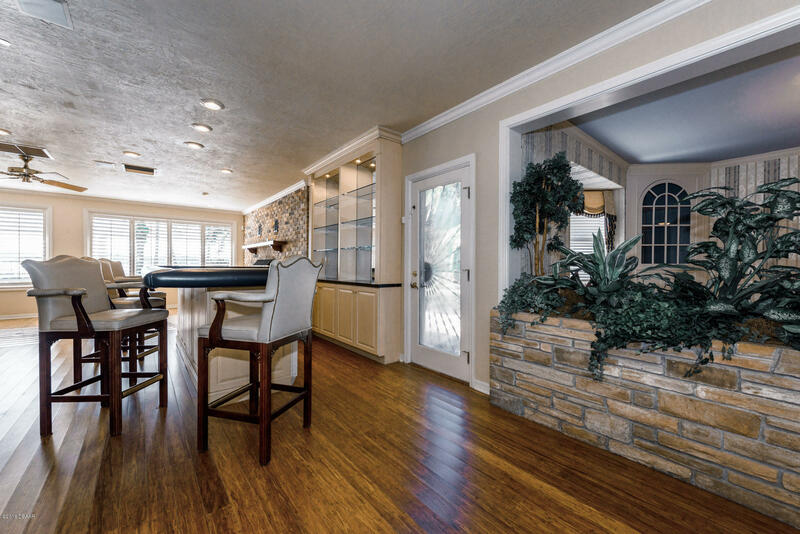 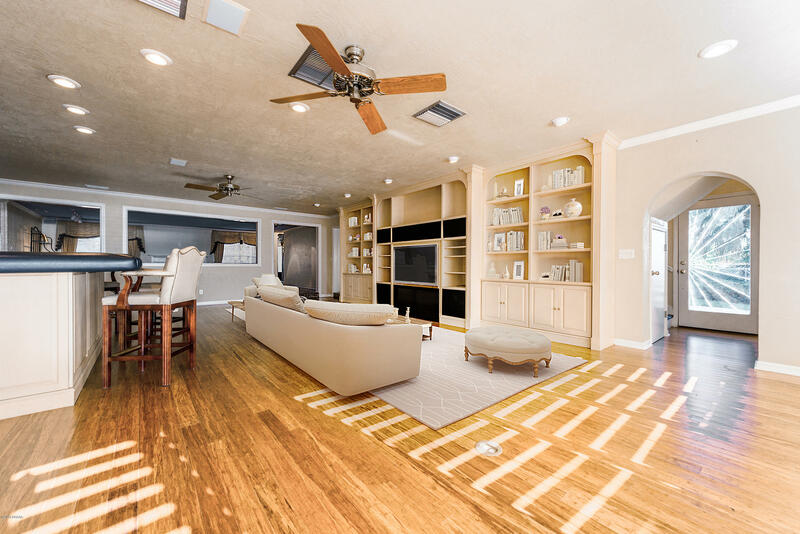 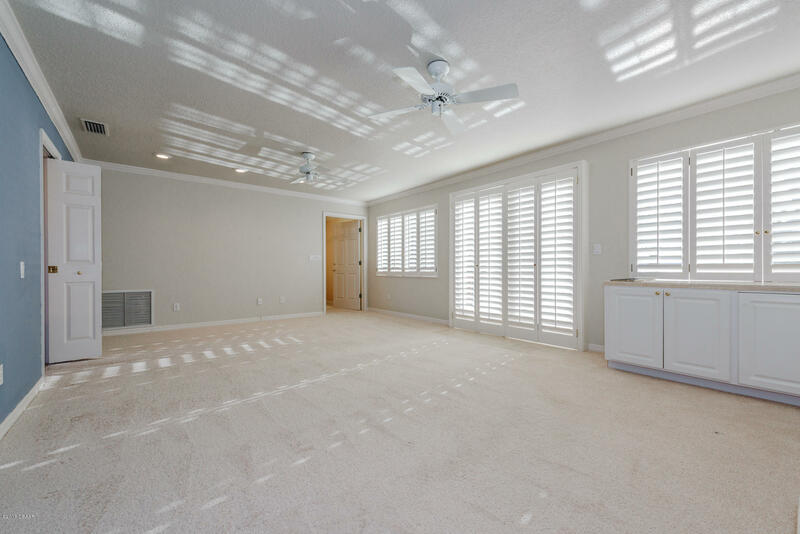 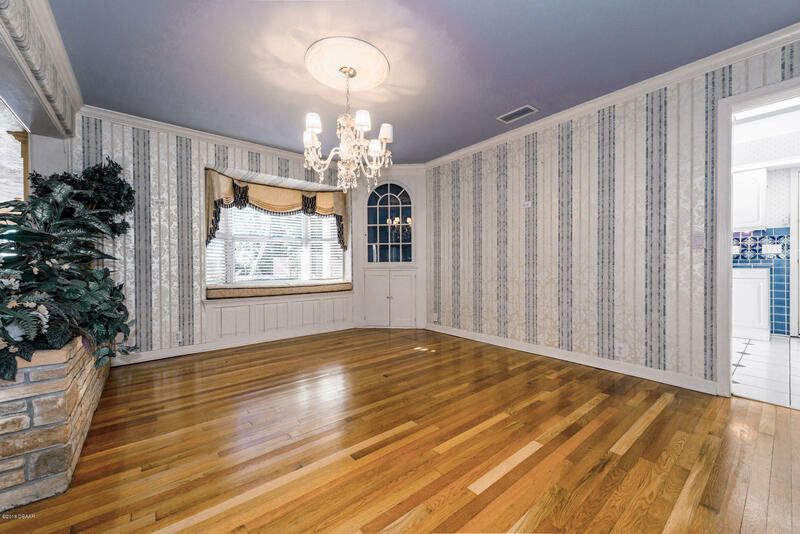 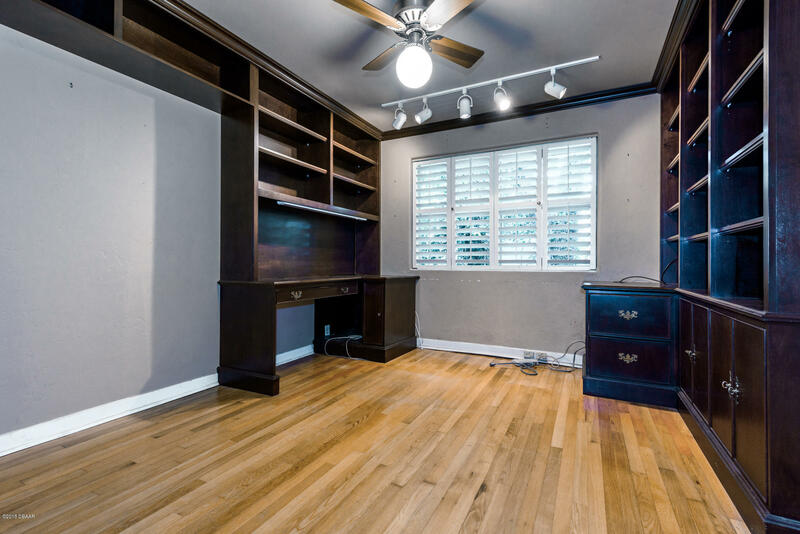 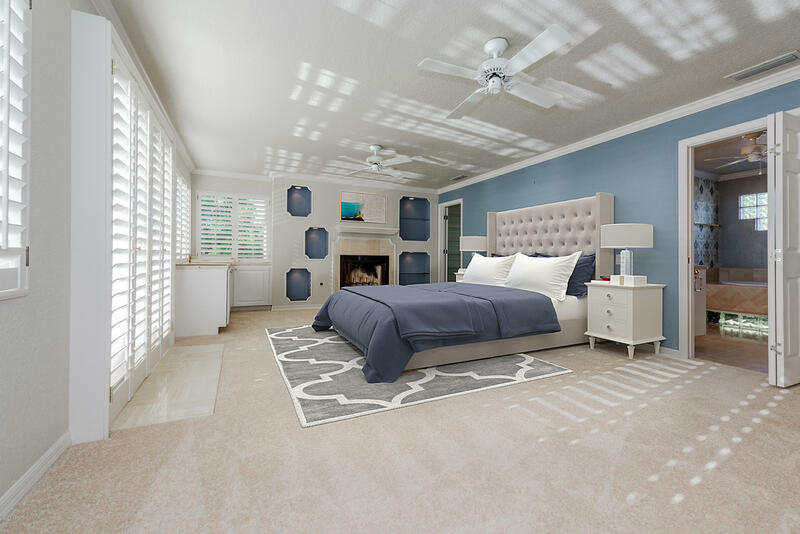 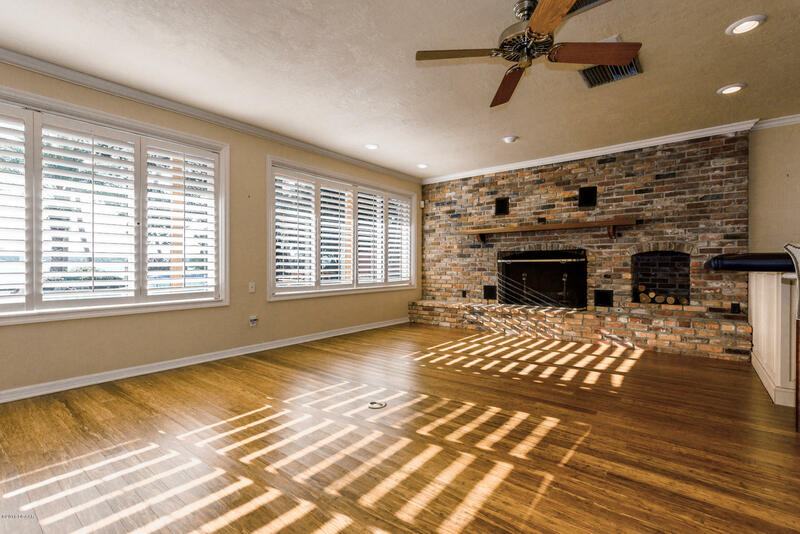 Spacious family room with hardwood floors, fireplace and large wet bar opens directly to the pool area. 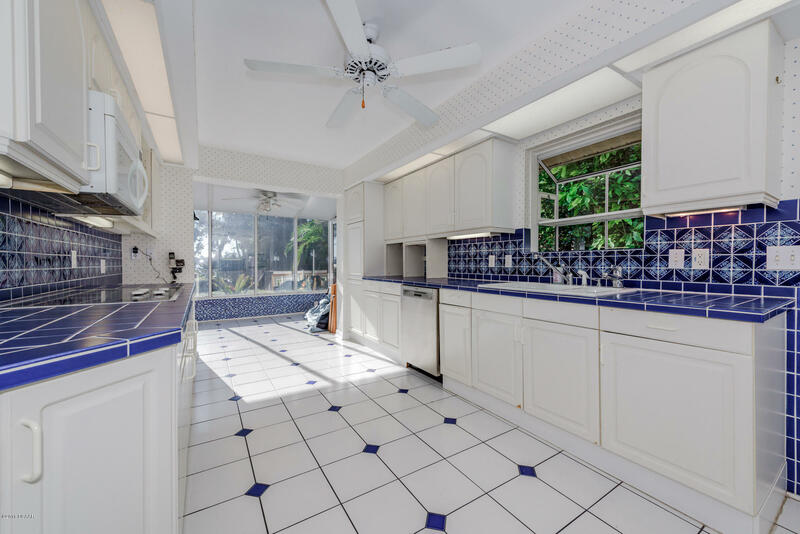 Galley kitchen with all glass Lanai breakfast area (2) master suites. 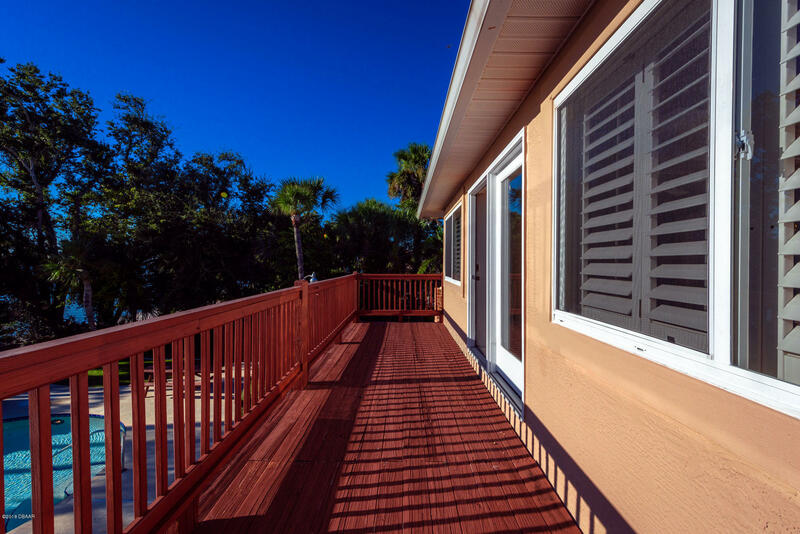 2nd floor master suite has a deck overlooking river. 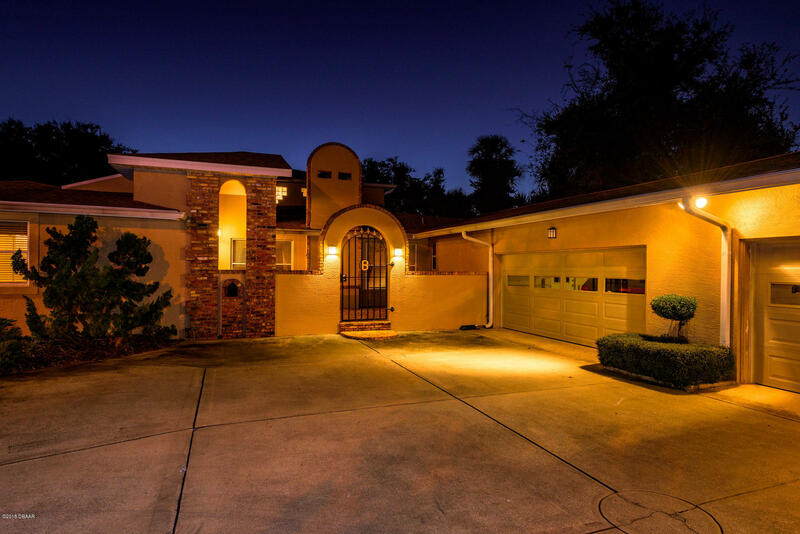 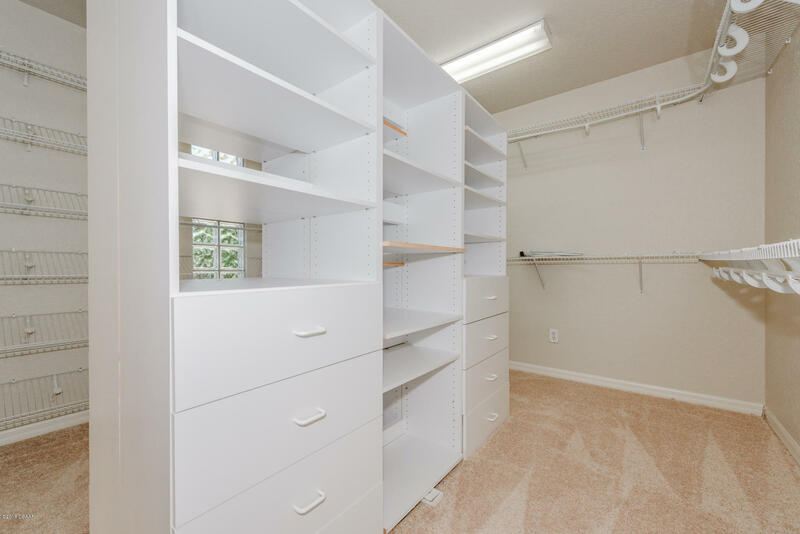 Hard to find double garage will accommodate up to 4 cars. 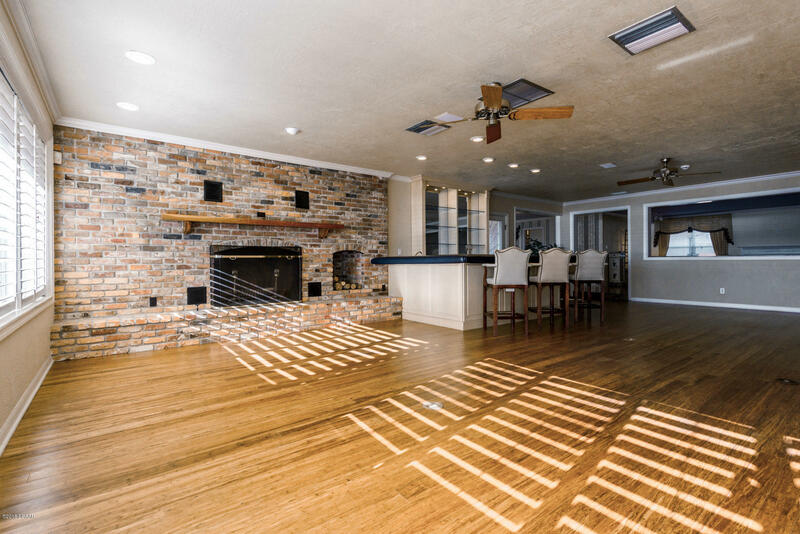 Perfect for the car enthusiast. 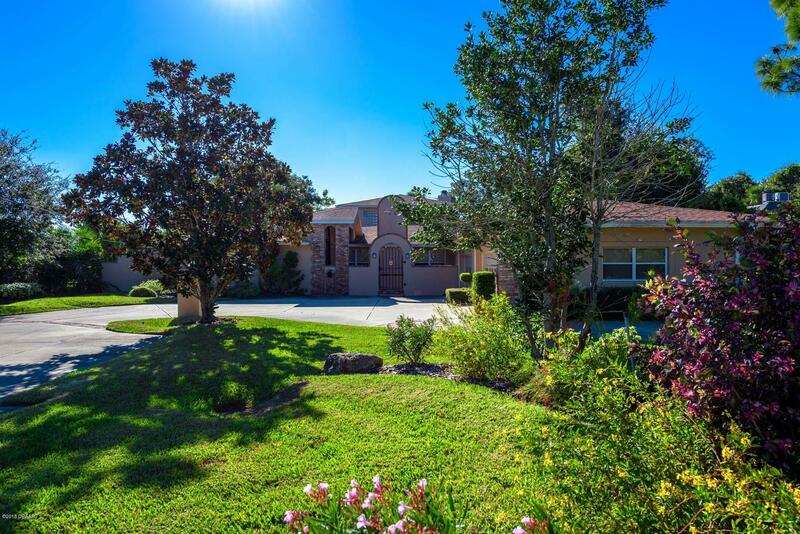 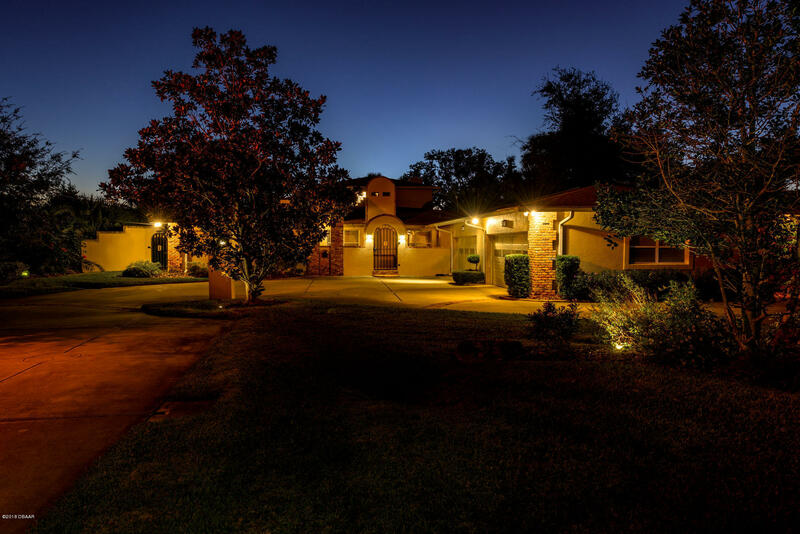 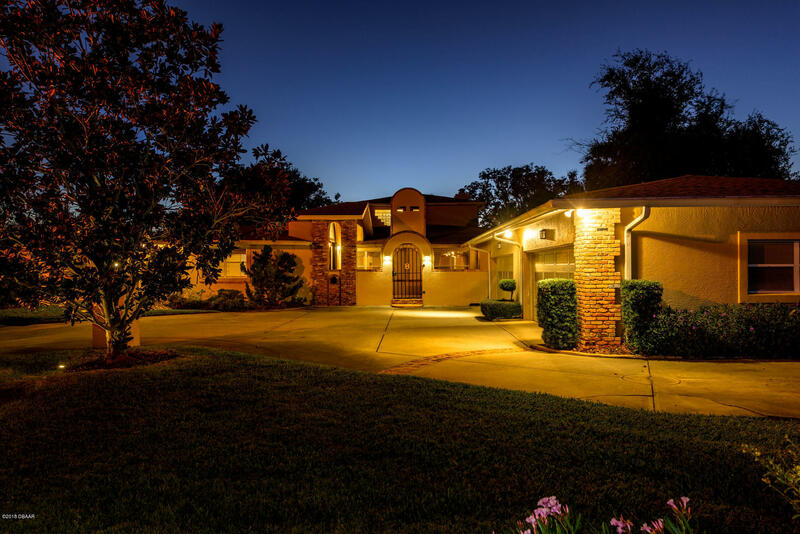 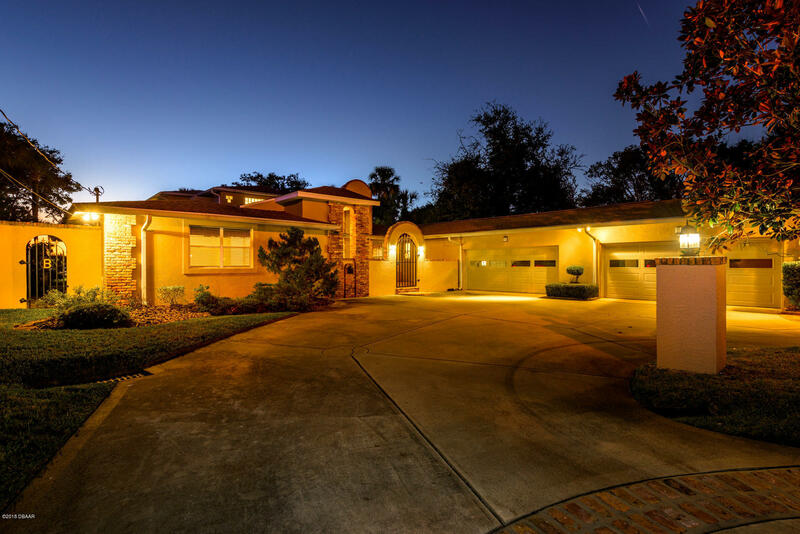 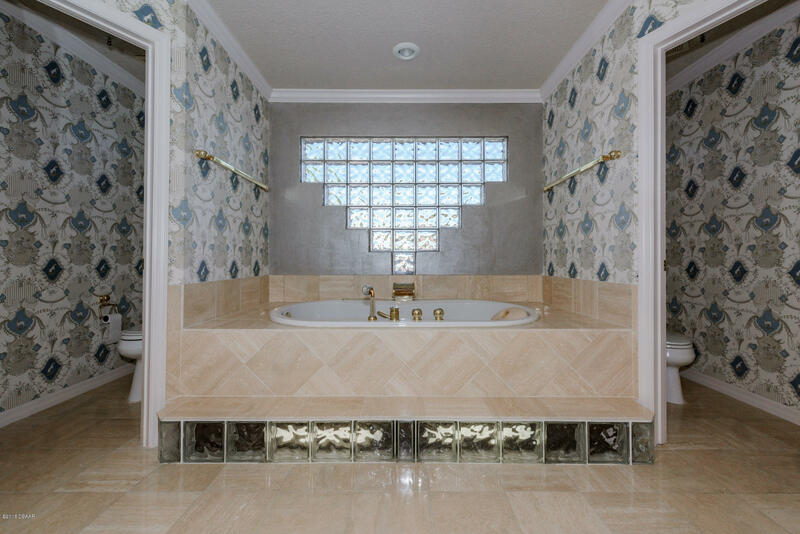 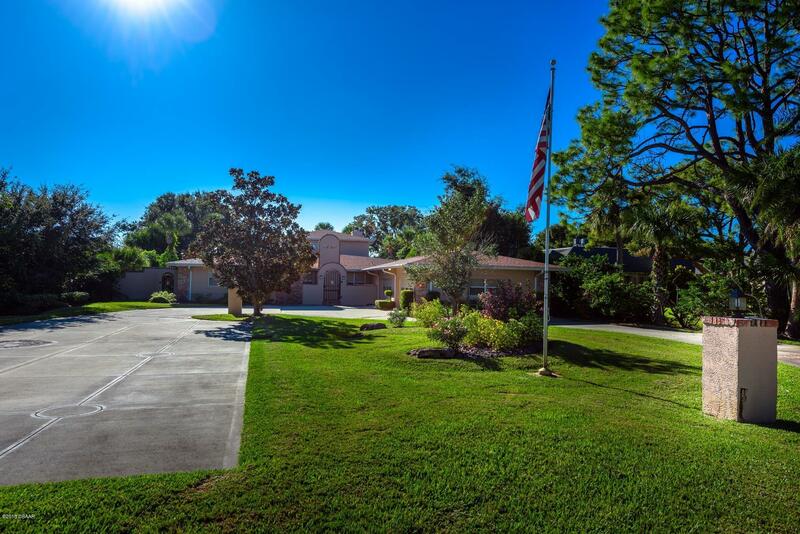 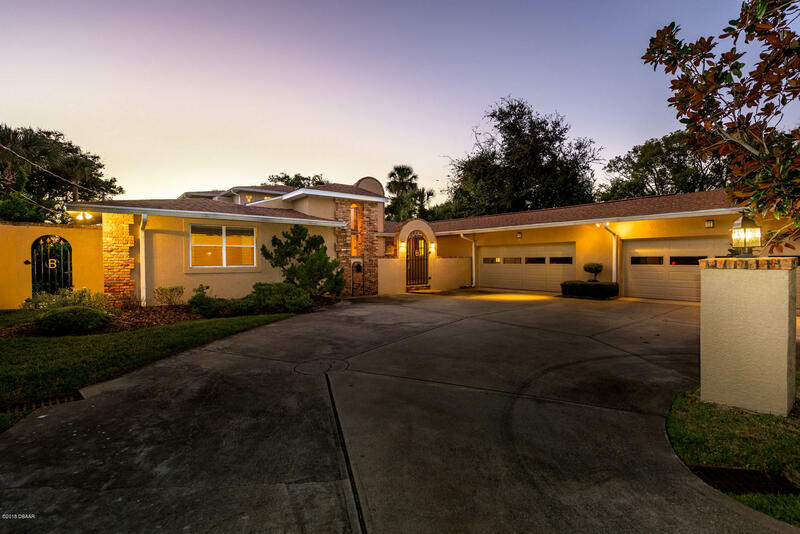 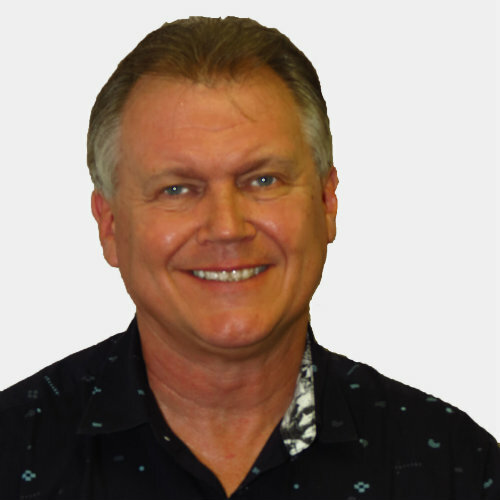 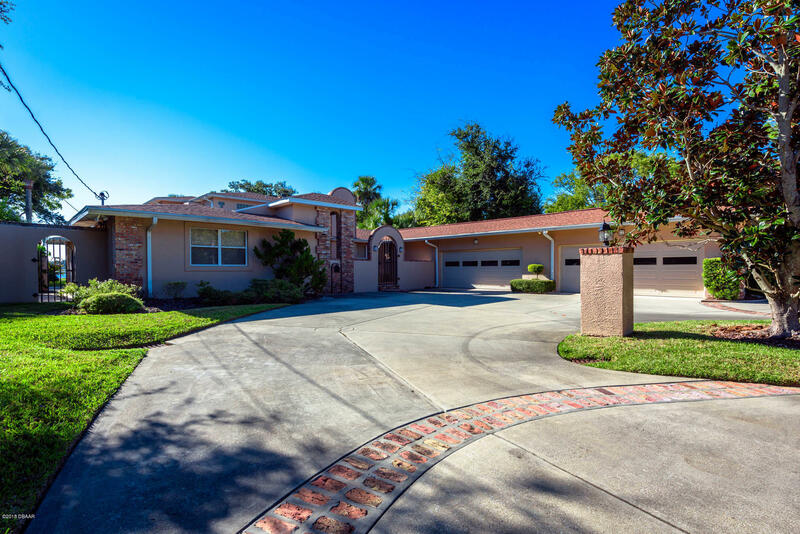 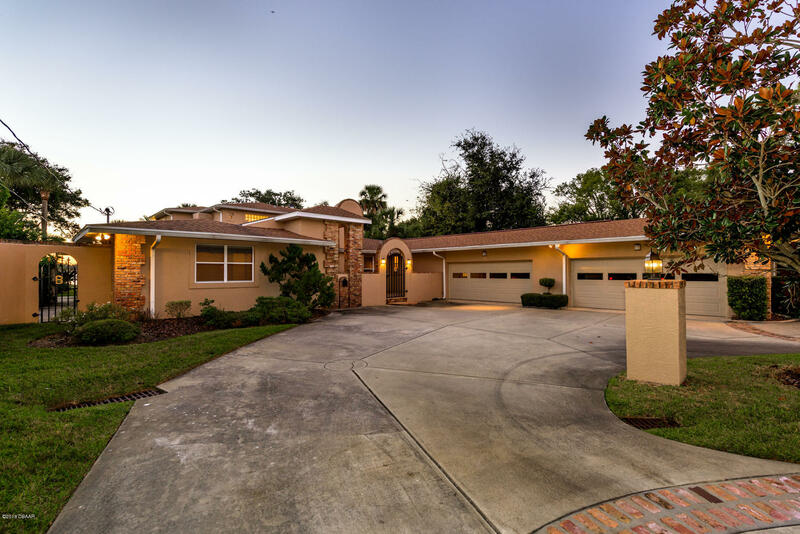 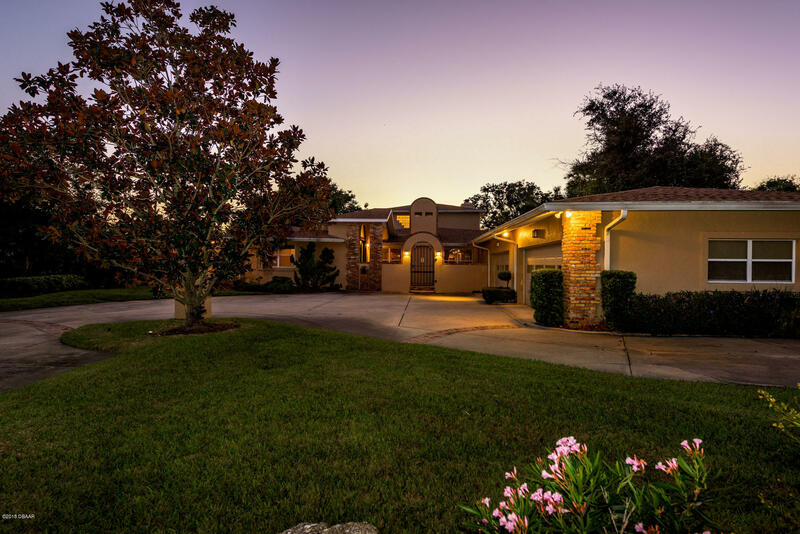 Located close to all the shopping and dining options Ormond has to offer.